Adding overlays to your video makes it more creative and fascinating. Whether it’s another video, image, or text, it can undeniably create new color and detail on your output. If you are already familiar with video editing, you might know that there are tons of programs that can do this. However, some of those require rigorous process and complex setup process. So, if you are looking for a fantastic yet simple way on how to overlay a picture on a video, worry no more. This article will list two programs that can help you finish the task easily. Furthermore, it will guide you the step-by-step procedure. So, what are you waiting for? 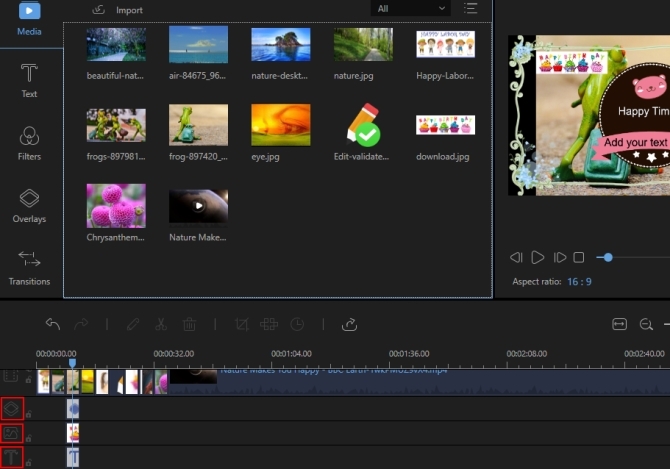 One of the best video editors that you may use is ApowerEdit. This desktop program, which compatible with Mac/Windows, enables users to create a beautiful video by using its cool editing features. You can split, merge, crop, delete, rotate video and adjust speed and volume of your videos. You may also add overlay to video, such as texts and images. In addition to that, there are many preset templates of overlays, texts, filters, and transitions that can be used. Plus, background music can be altered. To fully enjoy this tool, following the instruction below. Download and install ApowerEdit on your computer. Run the program and choose between 4:3 or 16:9 aspect ratio. Drag files to the main interface of the program or click “Import” to add file. Once it has been added, drag and drop the main file to the video track. Add two kinds of overlays. A. Image or text. For texts, proceed to “Texts” and drag the style you want to the timeline. Double-click to edit font style, color, size or motion. If you want to layer a small picture over a video clip, drag and drop the picture file on the image track. Also, double-click on it to edit motion, position and size. B. Overlay templates. If you want to add overlay templates, go to “Overlays” > select the style you want and drop it on the timeline. Click “Export” to save your file then choose the proper format for your video. 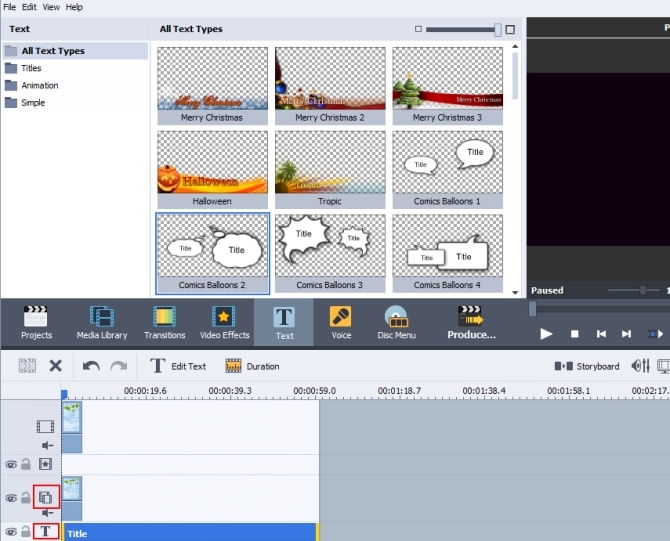 AVS Video Editor is another program that you can use. This editor is part of the AVS4YOU suite together with the audio and image editor and converter, document converter, and other practical programs. The tool basically allows you to make your own personal video with the help of various editing tools. It is also effective if you want to overlay image on video. In order to use it, read along. The first thing you need to do is download the editing software from the internet. Install the program and hit the “+” or “Import” button to add files. Drag and drop the main file on the first track. To add image overlay, drop the image file on the line for video overlays, double-click it to edit attributes, trajectory and animation. For adding text overlay, click “Text” > place the style you want onto the line for texts. Also, double-clicking will let you edit the text. Once you’re done, press “Produce” or “Ctrl+P” to export or publish your file. These are the two applications that you may use when in need of great video overlay software. Both programs offer a sophisticated editor that can create lively and stunning videos. Also, both have an intuitive interface that will allow you to use every feature of the programs comfortably and easily. However, ApowerEdit is more advanced when it comes to its overlay tools. Because compared to AVS Video Editor, it has more stylish overlay templates that can add extra beauty to your video. If you comes across other better video overlay programs, please don’t hesitate to write them down in the comments section. We will check them and consider adding them to the article as soon as possible. 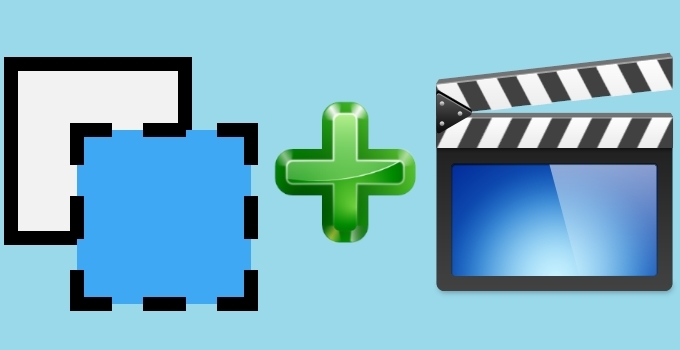 In this case, more and more video editing fans can benefit from them the first time. Come on, guys!